People say Taiwan is shaped like a yam but I think Taiwan is shaped like a tear. Long obscured for political and economic reasons, the Taiwanese cry for a chance to speak out, declare themselves to be who they are, and take their rightful place on the world stage. Or sometimes the island looks to me like the feline eye of a beautiful woman. A window to both Austronesia and the Far East, she is all the more beautiful for being a mix of the two, and all the more mysterious. Formosa, the Portuguese called her, and like all beautiful women, she has an infinite variety. To the outside world, she is busy, modern and bold, but her friends and lovers know how tender is the beauty of her mountains, the lushness of her forests and her distinctive tropical scent. This is the Taiwan I would like to capture in my film – the Taiwan of tears, the Taiwan of beauty, the Taiwan of progress, the Taiwan of mystery. As a child, my summer vacations in Taiwan began with a warning that I could be arrested for speaking Taiwanese to the wrong person. I loved the slow pace of life, the smell of paddy fields and guava trees, the raucous sociability of the night markets, but beneath everything was a pervasive and poisonous fear. It was called the White Terror. Until 1987, criticism of the Nationalist (Kuomintang) government could result in your disappearance. Newspapers were censored and political commentators were arrested on trumped up charges. No one could speak about 228, the island-wide massacre of 20,000 people in 1947. My aunts whispered about deaths and disappearances, but whenever I dared to ask why, I was always hushed. In all, over 140,000 people were incarcerated for their political beliefs between 1949 and 1987 – and this is by the Nationalist’s own count, so the figure may be higher. Just for comparison, 13,000-30,000 disappeared in Argentina’s Dirty War, which lasted from 1976 to 1983. There’s actually an affliction called the Taiwan Sadness stemming all of these years of repressed fear and grief, which continues to today with the ongoing suppression of Taiwan’s history and identity. Democracy in Taiwan exists because of the protests and heroic actions of hundreds of thousands of Taiwanese, who risked arrest, incarceration, torture and execution over a fifty year period. Yet, through ignorance or intimidation from China, mainstream media continues to act as if the Taiwan question is between two Chinese governments – the Nationalists and the Communists – failing to recognize that the Taiwanese should naturally be involved in deliberations regarding Taiwan. This is not just an abstract question as to who has political jurisdiction. What is at stake for the Taiwanese is the freedom of expression and civil rights that they fought so hard to attain. Each time I see in the news another outspoken Chinese thinker who has been arrested for daring to express his ideas – Ai Wei Wei, Hu Jia, Liu Xiaobo – I wonder how anyone can think that reunification with China is best for Taiwan, no matter what the economic gain. With this film, I hope to present a complex, insider view of Taiwan’s history and culture. I hope to acquaint those who know little about Taiwan, with its earthy, raucous spirit – its unique and fascinating blend of Japanese, Chinese and Austronesian culture, as well as its little-known democratic movement, which is all the more compelling today in the wake of Arab Spring. Traveling from south to north with my family, the film gives viewers an inside look at Taiwan – from historic towns still redolent of the island’s Dutch and Japanese colonial past to the hot springs, night markets, aboriginal festivals, ancient temples and sacred trees that are all uniquely Taiwanese. On a broader level, the film is an exploration of identity – what it is, why it’s important – and ultimately, how identity is intertwined with independence. 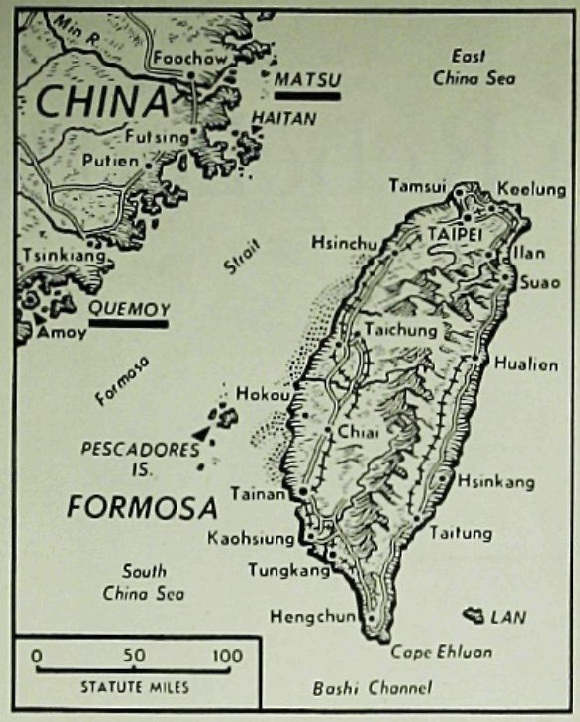 A combination of travelogue, family story, historical essay and an investigation of what being “Taiwanese” means, ALMOST HOME: TAIWAN seeks to contextualize the debate on Taiwanese independence, and increase public awareness on the unique relationship between Taiwan, China and America at this critical moment in time.